Jens Lehmann admitted he put in sub-standard performance despite keeping a clean sheet in Germany's 3-0 win against Austria. The out-of-favour Arsenal man made three major errors in Wednesday's friendly, and nearly conceded embarrassingly when he let a speculative long shot escape his grasp. The 38-year-old's position as German number one is under pressure from Valencia's Timo Hildebrand, but his old sparring partner Oliver Kahn has retired from international football. "We didn't start the match as focused as we would have liked to. 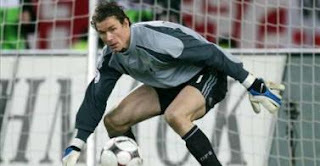 Plus, we were really surprised at how hard the Austrians played," Lehmann said.